One year on from the first Gen Z-ers entering the workforce, there has been much reported on this demographic’s predisposition for job-hopping. 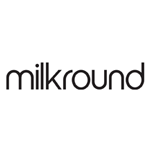 Graduate jobs board Milkround surveyed this year’s graduates to understand whether the perception is valid. The research revealed Gen Z are not looking for a job for life, with 55% planning on staying in their first role for less than 2 years. However, they are ambitious and have high expectations, with 65% believing they will work in their dream industry. This impacts what is expected of employers and could hold the key to encouraging this new generation to stay in roles longer. Interestingly, if their needs are met, in areas such as flexible working and mentoring, over two-thirds of new graduates envisage themselves staying in a role for up to 5 plus years (over 70%), and 27% would stay for more than 5. More than three quarters (76%) of graduates said training and mentorship would encourage them to stay in their graduate job for longer, 63% said flexible hours and almost half (48%) said the option to work from home. This change in expectations begins before they start their new role - 68% of graduates are calling for more detailed job descriptions and 57% would like to have an open line of communication with their line manager from the moment they accept a job. Their commitment to work, and desire to work in their dream industry, translates itself in their desire for internships as the first step to scaling the career ladder. This year’s graduate survey found that many are looking to do an internship as a path to their dream career, with 55% believing this will help them secure a job. However, graduates are held back from entering their industry of choice as they can’t afford to take a low-paid internship to get their foot in the door. A third of respondents (27%) are concerned that they will lose out to others who can afford to accept these internships, thus giving them the competitive advantage. This is likely due to the increases in cost of living, particularly in major cities. These high expectations of the workplace and their confidence is also visible in the willingness of Gen-Z to go it alone. In fact, more graduates than ever before are drawn to entrepreneurship, and are willing to set-up their own businesses if they don’t feel fulfilled in their career. 48% of male respondents would be keen to set-up their own business and 39% of females would. Much of this stems from the importance they place on personal values in their career choices (35%). “Gen Z and Millennials have been beleaguered with the notion that they are job hoppers who are uncommitted to their employer, however, our research shows that this isn’t strictly the case. In fact, they know what they want and are willing to ask for it from their bosses. They are loyal if they’re given what they need, but if they don’t get the support, they are comfortable going elsewhere or even setting up their own business. “Recent graduates have grown up in the era of strong entrepreneurs and start-ups shaking up the status quo and are comfortable with the idea of change. This is something they are willing to do with their current employer or do it on their own by setting up their own business.